I loved The Mediator series. I still have a couple books to go but it so much fun. A Certain Slant of Light was definitely beautiful. I plan on reading Deception next week. Glad to hear Emma is such a fun character. I didn't really like A Certain Slant of Light but I loved The Mediator series and it's how I started reading Meg Cabot's books. I've got Deception on my wishlist and plan on reading it sometime this year. Lol, as you can see, I prefer ghost friendly books. Wow! You've got me interested on all of these (yet again) but I think I must must must try the Mediator series. I don't think I've read any Meg Cabot so it's as good a place as any to start. 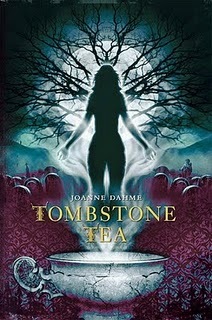 I loved The Graveyard Book! I listened to it on audio and it was fantastic. I want to read the Mediator series. Logan, Aaaah you totally need to read The Mediator series! 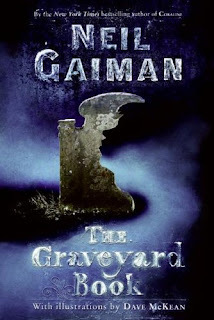 Alison, Ooh The Graveyard Book on audio sounds good! I can picture that one lending itself well to that format. I can definitely see you liking the Mediator series! A Certain Slant of Light is one I'd wanted to read for a while now. A couple weeks ago, I found it at the digital library. I was jumping up and down excited. I think it may be an audio book, too! I realllllllllly liked Deception. It sucked me right in. Favorite? Probably an oldie. Practical Magic by Alice Hoffman has a nasty ghost in it. I prefer friendly ghosts like Casper! I've read Deception, I only thought it was okay. I do have a Certain Slant of Light to read. There is a blogger with that blog name! Haven't read the others. I'm trying to think of other books. Anna Dressed in Blood has a ghost in it, but I don't think she's like Casper. And Hereafter is a ghost story. Can't think of any others. This is a good list to have after that disappointing non-ghost story, Wake Unto Me. I've had The Graveyard Book, The Mediator Series, and The Haunting Emma Series on my TBR list for quite some time. It's funny that both Suze and Emma are snarky MCs; I guess that's good for lightening what could be a grim atmosphere! I've only read The Mediator out of this bunch but I LOVE IT. Not a ghost book, but in terms of Neil Gaiman, I think you might like his book Neverwhere. I really like the protagonist Richard, and the "city under London" is pretty cool too. Ghost stories are my favorite too. Maybe because there is a chance they *could* be real...??? Anyway, I am going to put all of these on my TBR list! Thank you for bringing them to my attention. I didn't really enjoy "A Certain Slant of Light". I thought it had a really cool concept but the writing didn't do anything for me. I did love "The Graveyard Book" and Nobody's relationship to his ghost family! What a great post! I want to read Deception, I think it sounds like one I will really like. I had forgotten about meg cabot's series! Need to start that one! Oh, GR! You're totally making me regret that I didn't pick up the Mediator series when I was at the Borders clearance sale last. It didn't make the cut. I love slow burn romance! I've been wondering how the story will continue. I don't read many ghosts books, but I've been trying to remember one I read as a kid that had me totally fascinated. I can't remember the title, but there was a dead girl who befriended another girl and there was a creek and the book had a map of the two houses and the creek in the middle? Does this ring any bells? I love ghost stories, but I need to read more books. Loved The Graveyard Book though! I love ghost stories, too! My favorite is the Haunting Emma series. 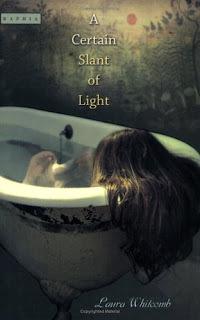 I have A Certain Slant of Light in my TBR pile. Have you read Ruined yet? That's supposed to be a fun ghost novel. Gina, I hope you like it!! It's very different and it takes a weird turn, but there was something about it that just absorbed me. Heather, Devon Sawa as Casper? My smaller self was ALL OVER THAT! :) I think that's where my ghost crushes began. Aylee, ha, you're right! I didn't even realize that this list and the Wake Unto Me review were scheduled so close together. Suze and Emma's levity does lighten the books a lot. Especially Suze. Alex, Yay! I <3 Jesse so much :) Totally check out Deception! Midnyte Reader, haha oooh I hope ghost stories can't be real! Especially the scary ones. I'm such a wimp. But, I think that's why ghost stories scare me so much more than other books. I hope you like these books! Rummanah, Aw, I loved the writing! I can see why people wouldn't like A Certain Slant of Light though. Wasn't Nobody's relationship with his ghost family sweet? I loved it! Grace, Thank you! Totally read those two series ASAP! The Mediator series is all published, too, so you don't have to wait for sequels! Missie, Yes! LOVE the way you describe the Laura Whitcomb's writing! But Jenny's body, kinda uncomfortable, right? I think the sequel is going to address that. Hmmm...nope, sorry doesn't ring any bells! The only one I can think of about a girl who befriends a dead girl is Stonewords by Pam Conrad, but I don't remember a creek or a map. I'll keep an eye out for it. Julie, I have read Ruined. Unfortunately I didn't really like it. The MC bugged me, but if she doesn't bother you then hopefully you'll like it more than me. I love the cover though! Smalls! Guess what? I googled, and found the book: Wait Till Helen Comes: A Ghost Story by Mary Downing Hahn. LOVED this book as kid. For realz.